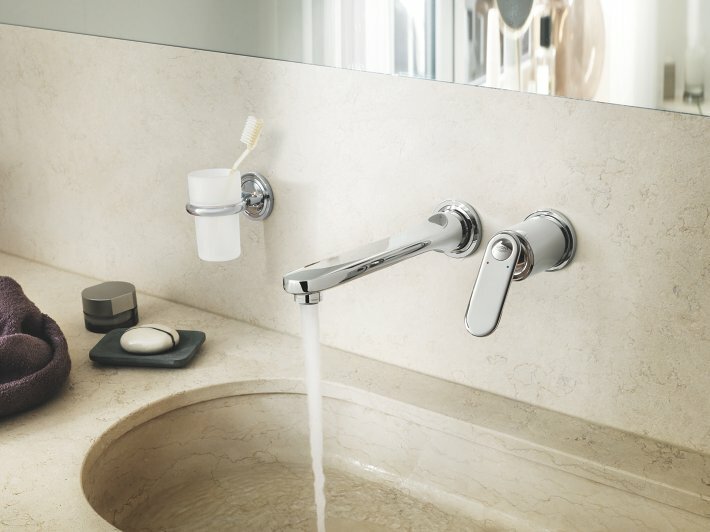 Whether you choose a shallow counter-mounted basin in the latest composite material or a simple, glass vessel basin, a GROHE wall-mounted tap will bring stylish looks and comfort to the basin area. For a modern designer bathroom, a wall-mounted tap is the perfect partner for today’s modern basin designs. Where once the choice was limited, basins now come in a diverse range of shapes, sizes, colors and materials. Deep vanity units are topped with large shallow rectangular basins, while expansive wall-hung bathroom furniture can be found with side-by-side basins. For basin designs without mounting holes, you will need to choose either a vessel basin tap or a wall-mounted tap. Wall-mounted taps feature a concealed body. This should be taken into account during the planning stage of your project, as the pipework and tap body will need to be installed before tiling the bathroom. Featuring a single-lever mixer, with GROHE SilkMove® technology, the modern styling of our 2-hole wall-mounted taps are guaranteed to enhance the latest counter-mounted basin designs. Like all GROHE wall-mounted taps, they are designed for use with a concealed tap body – lending a clean, uncluttered look to the basin area. Designs are available across a wide choice of styles and budgets to match your requirements. 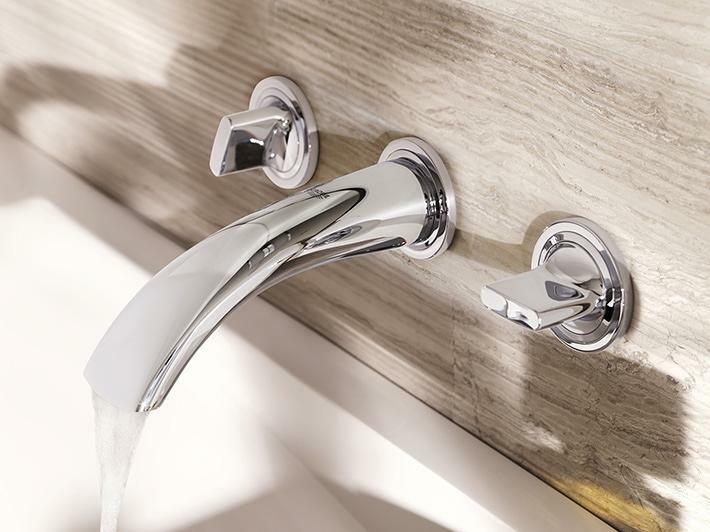 A choice of spout lengths: Aligned with the trend for larger basin sizes, wall-mounted taps in our Veris and Allure ranges offer a choice of two spout lengths: 180mm and 220mm. GROHE AquaGuide: For added functionality, the 2-hole wall-mounted tap in our Eurosmart Cosmopolitan collection features GROHE AquaGuide – an adjustable mousseur, which can be pitched at an angle to deliver the water in the optimal position. For the latest in cutting-edge interior design, choose a 3-hole wall-mounted basin mixer. Their symmetrical design and concealed body facilitates effortless coordination with large counter-mounted basins to add the finishing touch to your new bathroom project. 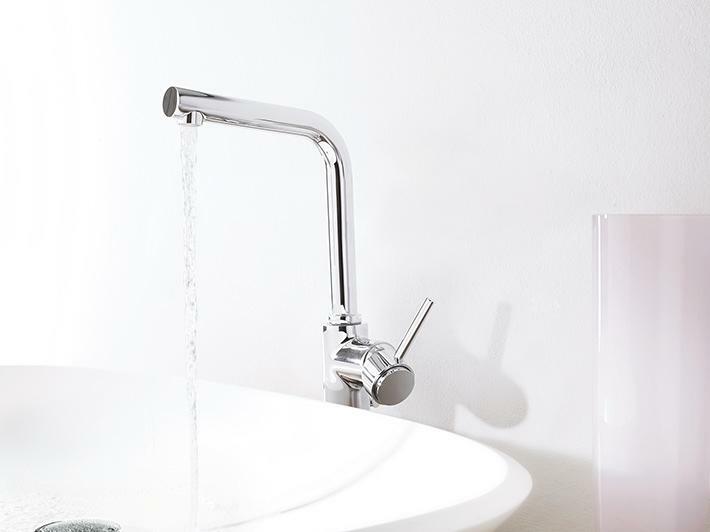 The perfect match: No matter how large your basin, we have a tap to match. 3-hole wall-mounted basin mixers in our Veris and Allure ranges are available with a choice of spout lengths – 180mm and 220mm. 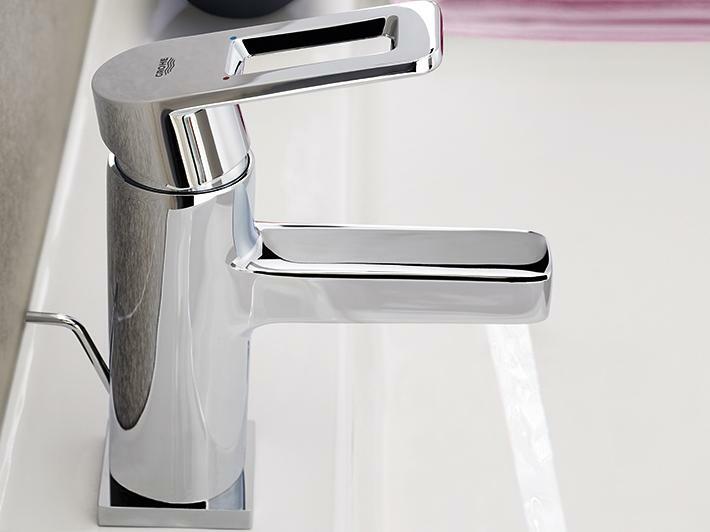 Smooth operation: Whether you choose cross or lever handles, all of our two-handle wall-mounted tap feature premium ceramic discs, to ensure smooth turning of the tap handle.